Wow. 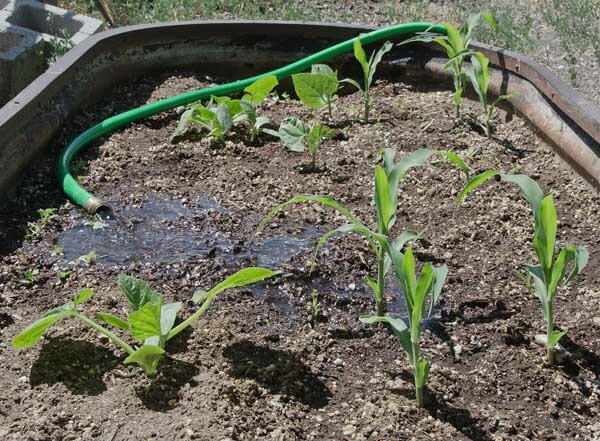 I treked over to our organic garden expecting some casual sort of growth of the corn, beans and squash that we planted, and was pleasantly surprised to see they have leaped up from the “organic and natural“ soil in which they were planted. They did not do that in my garden. It must be the soil, because water and climate were similar. Dirt is one of those things that that wouldn’t exist without the Biosystem from which it comes, so it seems a bit odd to talk about people making it. There’s an excellent video of that title (DIRT) you would enjoy watching if you have a chance. healthy flowers and vegetables _______ ..
Well, it’s not the water and it’s not the location. I guess the soil we purchased must have made a very big difference in the health of the plants that are growing in it. So then, if healthy soil makes healthy plants, probably it would be a good idea to understand what is healthy soil. Would it be good to make some rather than buy it?